Arsenal manager Unai Emery has revealed it was a conversation with Watford boss Javi Gracia that convinced him to take over from Arsene Wenger at the Emirates Stadium. The Gunners take on Watford on Monday night in the Premier League, as Arsenal look to go level on points with Chelsea in the race for the top four, but if it wasn't for Gracia's advice, Emery may not have been in the dugout at all. As quoted by the ​Daily Express, Emery explained: ​“So when the possibility opened up to sign here, the first coach, the first person in the football world I called was him (Gracia). “I asked him some questions about the football here, the clubs, ​Arsenal and he recommended to me that I come here." The 47-year-old played alongside Gracia for La Liga side Real Sociedad in 1996, where Emery graduated from the academy. Since the ​Hornets' boss only arrived in English football six months prior to Emery, the former Paris Saint-Germain coach disclosed that ​Manchester City's ​David Silva also played a part in his decision to take the reins at the Emirates. “One day, I also met with David Silva in Valencia last year and he said to me: ‘coach, if you can, come to England, it is the best football and the best atmosphere for you also.'" 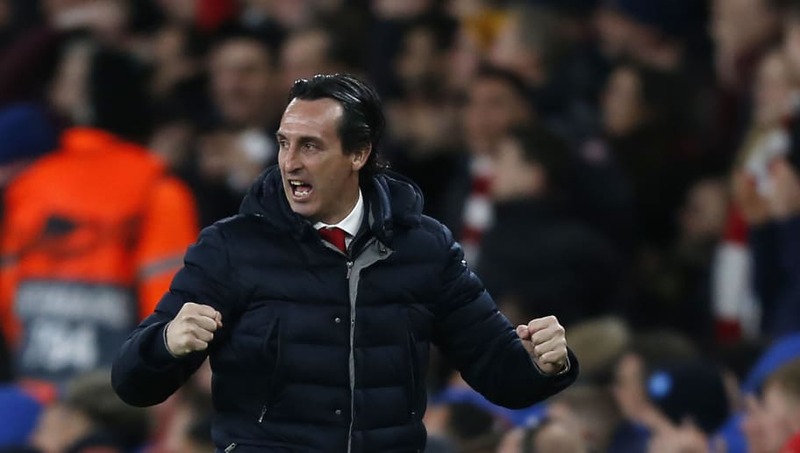 In his first season in north London, Emery is still in the running for a top four finish and has a strong 2-0 lead over ​Napoli in the Europa League quarter final - a competition the Spaniard is hoping to lift for the fourth time - but Emery does not believe one has to be sacrificed for the other. “It is not one over the other,” the Spaniard said. “I think they are two ways we can compete and be ready for both. We can achieve our target through the Europa League or ​Premier League. “We can lose in two directions or we can win through both competitions. It is compulsory (to rotate the squad) because there will be some players not ready to play physically at 100 percent. In the Premier League table, Arsenal are currently in the sixth place and three points off fourth, but even after ​Monday's match at Vicarage Road, the Gunners will still have a game in hand.